Are you a BUPA Insurance member? Looking for a therapist who provides Osteopathy and Massage treatments with BUPA Providers online Insurance, then bodytonic clinic can help. We provide help and support for Osteopathy and Massage treatments in London. Simply Book Online using the link above or call 0203 6060 490 if you would like to ask the team further questions. Do I have to visit BUPA Providers Online before I book an appointment? Usually you will need pre authorisation, but simply check with BUPA Finder or call your BUPA Contact. Do I have to contact BUPA UK before I attend my appointment? Do I have to contact BUPA Health Insurance Claims before I book? Cash plans you would be able to pay for your treatment in clinic and then claim the costs back from BUPA. 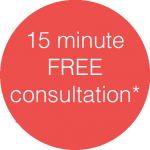 What BUPA London procedure codes do I need to bring to my appointment? Membership and Authorisation number are required for us to be able to claim for your treatments. BUPA UK have been providing healthcare since 1947 and offer insurance for different areas of healthcare , including BUPA dental / BUPA dentists. If you have any questions please call 0203 6060 490.